Primordial Sound Meditation is a time-tested meditation technique dating back thousands of years to the Vedic traditions of India. Drs. Chopra and Simon have revived this ancient process and made it available in a format that is easy for anyone to learn. Our certified meditation instructors have the knowledge and skills to teach Primordial Sound Meditation, the most powerful tool we have for experiencing the profound peace and expanded awareness that lies beyond the mind’s noisy thought traffic. You can easily learn Primordial Sound Meditation in four short sessions spaced over a period of just a few days. Session One: Your Chopra Center–certified meditation instructor will introduce you to the basic principles of meditation, including its history and the importance of your mantra. Session Two: You will receive personal instruction in your Primordial Sound mantra and learn how to use it. 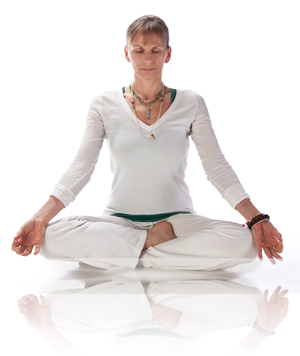 You will also experience your first meditation practice using your Primordial Sound mantra. Session Three: In this session you will learn more about the healing benefits meditation creates for the mind and body. You will have an opportunity to share your experiences and get answers to any questions that have come up for you so far in your new meditation practice. The session concludes with a meditation guided by your instructor. Session Four: In the final session, you will learn more about the higher states of consciousness that can be achieved with regular Primordial Sound Meditation practice. Your instructor will share Deepak Chopra’s vision of these higher states. Primordial Sound Meditation is recommended for anyone who wishes to enjoy deeper peace, greater freedom, and mastery of life.